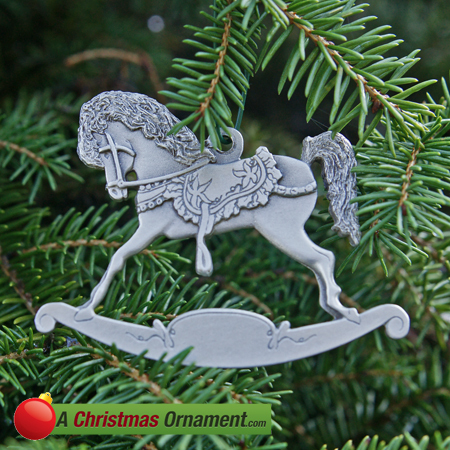 Christmas Ornaments Made in USA - Pewter "1st Christmas" Rocking Horse Ornament - A Christmas Ornament Co.
A child's first Christmas with their family is a special moment to remember. Don’t forget to give your baby their very own ornament to hang from the Christmas tree to commemorate this special occasion. The "1st Christmas" Rocking Horse ornament measures 2" tall and 2-1/2" wide, with ample room to engrave your child's name. Your baby's first Christmas ornament will become one of the ornaments you will cherish to hang every year.